On December 28, 2016, outgoing President Barack Obama designated Bears Ears and Gold Butte National Monuments, protecting 1.35 million acres in Utah and 300,000 acres in Nevada, respectively. Now that President Donald Trump is in office, and a new, Republican majority controls both the U.S. House and Senate, discussions about federal land management and resource extraction have intensified. Alpinist has been tracking these developments and is working on a more comprehensive story. For now, we want our readers to be aware of some of the recent developments pertaining to federal land policies, which could affect many wild areas, including ones in which climbing takes place. HR 621—To direct the Secretary of the Interior to sell certain Federal lands in Arizona, Colorado, Idaho, Montana, Nebraska, Nevada, New Mexico, Oregon, Utah, and Wyoming, previously identified as suitable for disposal, and for other purposes. HR 622—To terminate the law enforcement functions of the Forest Service and the Bureau of Land Management and to provide block grants to States for the enforcement of Federal law on Federal land under the jurisdiction of these agencies, and for other purposes. On February 1 Chaffetz promised to withdraw HR 621 the next day. He posted on Instagram and Twitter: "I am withdrawing HR 621. I'm a proud gun owner, hunter and love our public lands. The bill would have disposed of small parcels of lands Pres. Clinton identified as serving no public purpose but groups I support and care about fear it sends the wrong message. The bill was originally introduced several years ago.... I hear you and HR 621 dies tomorrow." The Clinton Administration had vaguely identified those "small parcels" of land in 1997 as possible collateral to advance protection efforts in the Florida Everglades. It was only a preliminary report. In the third paragraph, the report had stated: "Please note many lands appear to have conflicts which may preclude them from being considered for disposal or exchange...."
HR 622 still remains on the table at this time. Access Fund Policy Director Erik Murdock told Alpinist that Chaffetz's bills are not new, but people started paying attention to them now because of the changing circumstances with the US administration. "I don't think anybody had expected the backlash that has happened as a result of these bills. People are upset out here in the west and it is one of the hottest political issues in western states," Brad Brooks, Idaho Deputy Regional Director for the Wilderness Society, told Reuters. On January 30, Congressman Paul Gosar (R-Ariz.) brought Joint House Resolution 46 to the table, which seeks to ease oil and gas drilling restrictions in national parks. A summary of that bill reads: "Providing for congressional disapproval under chapter 8 of title 5, United States Code, of the final rule of the National Park Service relating to "General Provisions and Non-Federal Oil and Gas Rights." According to the National Parks Conservation Association: "The resolution is just the latest in a series of moves by federal lawmakers to weaken environmental protections for national parks under the Congressional Review Act (CRA). If these repeals are signed into law under the CRA, it will not only stop these protections, it will also prohibit agencies from issuing similar rules and protections in the future, unless directed by Congress." Meanwhile Rep. Ryan Zinke (R-Mont.) is expected to be confirmed as the new Interior Secretary. The Department of the Interior manages federal land and its resources. He is considered to be a favorable pick for industry deregulation and states rights. According to the Washington Post, Zinke has said he has no intention of unloading federal land. But on January 17 the Salt Lake City Tribune reported, "Zinke hinted that the Bears Ears designation was on the top of his mind, and, should he be confirmed, he would make dealing with it a top priority. He said he would visit Utah as one of his first acts, naming it one of the 'pending problems we need to address quickly.' He did not elaborate." Even before the designation of Bears Ears National Monument, Utah has been active about pressing the national government for control of federal lands within its borders, especially since 1996 when President Bill Clinton designated Grand Staircase-Escalante National Monument near Kanab, Utah. Several long-term legislators including Chaffetz, Sen. Orrin Hatch and Rep. Rob Bishop have been lobbying for such land transfers for years, and now their chances of success have significantly increased with the new administration. Transferring control of federal lands to the states is a concern to conservationists because the states may struggle to fund the management of these lands, which includes fire fighting and environmental protection, so the states may be more likely to sell off these lands to the highest private bidder. 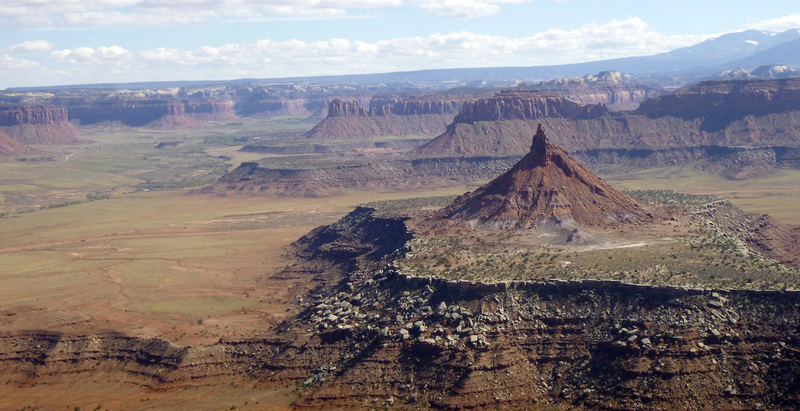 Utah is poised to be the first battleground over the issue of federal land, and the newly designated Bears Ears National Monument appears to be at the center of the target. Bears Ears is considered a great victory not just for the climbing community, but for at least five tribes of Native Americans, who are largely responsible for the initiative, as well as other conservation groups and citizens who overwhelmingly support protection of these lands. Alpinist will continue to track these developments and plans to follow up with a comprehensive story in the near future.